Energy efficiency of Chem Process Evaporators and Crystallizers is a crucial consideration during the designing of each customer’s specific application. Energy efficient systems utilize waste heat, multiple effects, mechanical vapor recompression (MVR) and/or thermal vapor recompression (TVR). 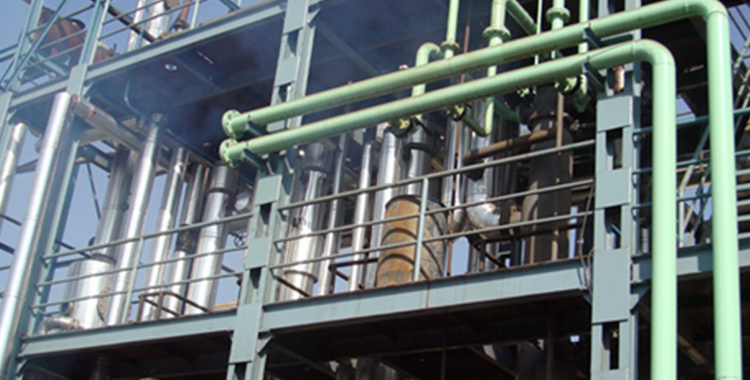 The evaporation duty is separated into stages operating at different temperatures. External heat drives the first effect of the evaporator, with subsequent effects being driven by vapor generated from the previous higher temperature effect. 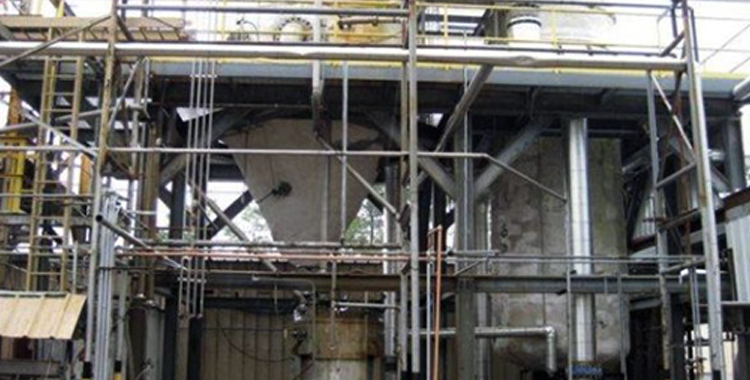 Product may be passed through the evaporator in forward, back or mixed flow configurations. Additional efficiency is achieved with the use of regenerative heaters, condensate heaters and vapor heaters. In general a Multi-Stage Flash Evaporator is a series of single stage evaporators, where the steam is used for direct heating in one effect only. And the feed flow in a linear way passes through all the single stage evaporators. 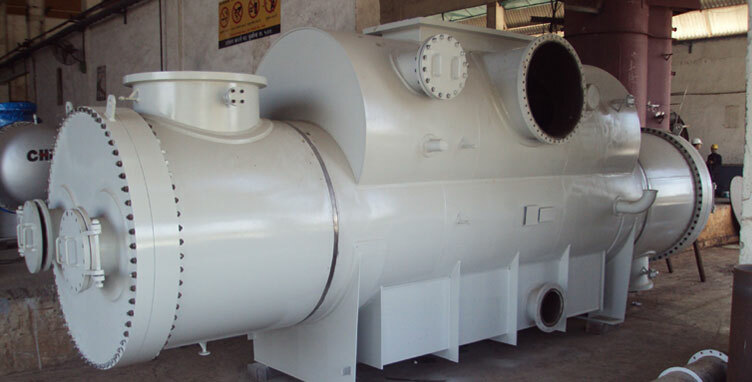 The basic fundamental of the multi staging is utilization of the vapors generated in preceding effect heat exchanger or Calandria under negative pressure (vacuum) condition and lowering the boiling point of the feed in the subsequent stages. More the number of effects, lesser is the steam consumption. This helps economize the utility consumption. In Multi-Stage Flash Evaporators, the product flows with a positive pressure through the tubes of all the stages i.e. from the last stage to the first stage, where the liquid is heated gradually by the vapor condensed in all the stages. From the last stage the liquid is discharged by the concentrate pump. The distillate is collected from all the condensers to the last stage condenser and from here it is discharged by the distillate pump. The non-condensable gases released in all the stages are discharged by the ejectors. Chem Process designs and manufactures multi-stage flash evaporation plants, which may be used for producing fresh water from sea water, well water or industrial water. A special advantage of the multi-stage flash technology is that the thermal efficiency can be tailored to the individual client requirements. 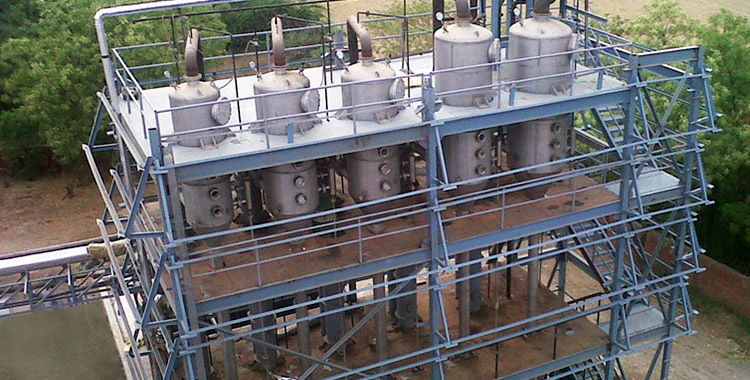 Chem Process multistage flash evaporation plants are also used for reduction of the volumes of industrial waste waters generated by industries.